Beautifully furnished to a high standard, this spacious and stylish second-floor apartment is fully air-conditioned throughout the living room and both bedrooms ensuring a relaxing and comfortable stay. Recently refurbished bathroom with shower and accommodation freshly painted. Centrally situated in one of the best locations on the resort, minutes away from all amenities, supermarket, restaurants, 5*star hotel, bars and leisure facilities. Large south facing terrace with rattan furniture overlooking two large swimming pools, children's play area & paddling pool. A 65 euro changeover clean is payable to our keyholder on departure. Contemporary bathroom recently refurbished with shower, WC, sink unit with drawers. Heated towel rail and mirror. Spacious living room overlooking terrace with three seater sofa & two reclining chairs, coffee table & two lamps. 32” flat screen TV, DVD player, digital TV package, Docking system, selection of DVDs, games & books. Free wi-fi Internet access. Kitchen is fully equipped with oven, ceramic hob, large fridge freezer, washing machine, dishwasher, microwave, kettle, toaster, cutlery, crockery, glassware and utensils. Ironing board and iron. La Torre Golf Resort is an 18 hole course designed by Jack Nicklaus, the club house is just 15 minutes walk away where you can book your round and buggy if required. Within 30 minutes of the resort you will find many more top quality courses each with their own independent character and challenges. Notes on accommodation: Fully air-conditioned throughout. High chairs, cots and cot linen available on request. This is a no smoking property. Your booking will include our 'meet and greet' service, where our key holder will meet you to hand over the keys and show you around the property and will be on call should there be any problems during your stay. Outside: Sunloungers with carry handles for use by pools. Shared landscaped gardens with two large pools and childrens paddling pool. Small play area. Utility Room: Washing-machine, airer, 2 reclining lounger chairs & 2 sun loungers. Cleaning / Towels / Linen / Maid service: Bath towels, hand towels and bedlinen included and a full clean will be done prior to your stay. A 65€ cleaning charge will be paid locally on your departure. Other: Large south-facing terrace off living room & bedroom 2, overlooking pools. 3 seater rattan sofa, chair & coffee table. Teak table & 4 chairs. Thank you Paula and Mark for your kind review, looking forward to hearing from you again! My family thoroughly enjoyed our time here! The weather was superb and the accommodation was great! The apartment had everything we needed and was a real home from home. The air-con throughout was a bonus too aswell as having the supermarket right on our doorstep. Having excellent Wifi was important, and thankfully it worked with no issues. The pictures on the website are a true representation of the apartment and the new bathroom is excellent! The swimming pool that we over-looked was great and we met many new friends there, my kids had a ball! The resort was beautiful but it is sad to see that some of the businesses are no longer in operation. You need a car to visit the local sights also. We went to a few beaches, restaurants and markets in the area, which were great! Diane had a folder with lots of useful tips of places to visit, which became our Bible! Overall, this holiday was a huge success and we hope to return again soon! Thank you! Thank you for your kind review, so happy you enjoyed your stayed in our apartment. Glad you found our information folder useful, certainly helps when you are in an unfamiliar area. Looking forward to accommodating you and your family in the future. We have stayed on La Torre several times. We usually stay in a villa but decided to try an apartment this time as we are exploring which we would prefer to buy long term. Diane was very easy to deal with and everything ran smoothly. We were very impressed with this apartment. It was lovely and clean and very spacious. It has a large balcony which faces out on to a large pool. The kids loved it. It is also a 2 min walk to the shop and less then 5 mins to restaurants and bars. In summary this was a lovely apartment in a great location and would definitely use again. Professional owner to deal with. Thank you for your great review. Glad everything went smoothly and you all enjoyed your holiday. Wishing you well with your search for a holiday property. If we can be of any assistance please contact us again. Thank you for your kind comments and patience whilst our apartment was fitted with new air conditioning during your holiday. So glad you enjoyed your break. Great apartment at La Torre! 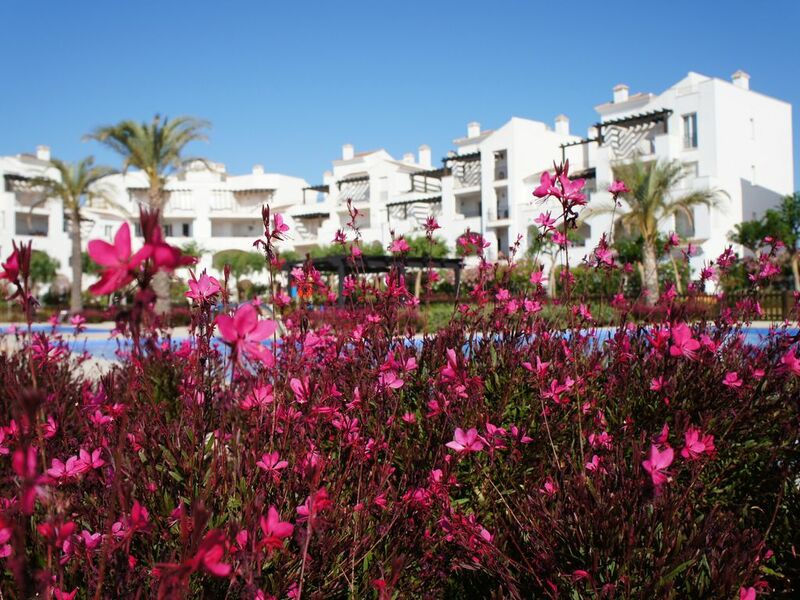 Very nice apartment at La Torre - lovely decorated, well maintained and has everything you'll need! Right near the supermarket and Town Square. Recommend it! Thank you for your review, so glad we could accommodate you again. Look forward to hearing from you in the future. A fantastic apartment with everything you need for a great, relaxing holiday! This apartment was ideally situated within the La Torre resort with only a short walk to the nearest supermarket and to the Irish pub as well as other bars and restaurants. Inside the property, there was everything you could need: a good sized living area; a well maintained kitchen, two decent sized bedrooms as well as a nicely maintained bathroom with a shower. The property was spotlessly clean (which is one of my main priorities when on holiday) with a good sized balcony and a nice view overlooking the communal pool. As for the service, everything went swimmingly without a hitch and a contact number was provided should there be any issues during the stay. I used it once at the start of our holiday and it was answered promptly and in a very friendly and welcoming manner. The guide within the apartment provided invaluable information about the property itself as well as details of the surrounding area such as restaurants and bars and recommendations of places to visit during our stay. I would definitely recommend this property to my family and friends and should I visit the resort again, I would certainly look to book this apartment. Thank you for your very kind comments. We look forward to hearing from you again. The beaches and water sports. Soft sandy beaches 20 minutes away, coupled with the calm waters of the Mar Menor make it ideal both for children and for the extensive water sports that are on offer here. These include jet skiing, wind surfing, sailing, fishing, snorkelling, and scuba diving. San Pedro/Lo Pagan - therapeutic waters, mud flats and nature reserve - cycles available for hire. Santiago de la Ribera - closest beach fringed by a palm-lined promenade. 17 minutes drive and Alicante is 60 minutes drive. We recommend hiring a car to make the most of your holiday. The historic city of Murcia, with excellent shopping & sightseeing opportunities is 20 minutes away by car. At the heart of the resort,a bustling "towncentre" clustered around the Clubhouse, several restaurants including an Italian "Trattoria Acacia", Tapas bar "El Roble","Clover" the Irish Pub, chill-out Bamboo bar and restaurant with it's own pool, "Limonero" a speciality restaurant overlooking the lake and finally "Avellano" an ice-cream and juice bar. Cajamurcia Bank on site with ATM. Pharmacy in the "towncentre" area. Shopping - Espacio Mediterráneo, Cartagena. The covered centre offers a comprehensive range of leisure (cinema and bowling park) food and fashion stores. Nueva Condomina, Murcia. This recently opened shopping mall with some 200 shops, including many U.K high street chains that you will be familiar with. This complex also provides a huge range of restaurants, 10 pin bowling and 6 screen cinema. Booking Notes: Balance payable eight weeks before arrival. An additional cleaning/laundry fee of 65 euros applies to all bookings. Weekend golf breaks are welcome. Changeover Day: Changeover day is flexible. Short breaks are also available with no minimum stay required. Arrival time is 5pm and departure before 12pm. A late departure can usually be arranged on request provided no one else is arriving the same day. Notes on prices: Discounts available on two week bookings!